Elizabeth Warren is seen as ‘front-runner.’ But is it too early? US Senator Elizabeth Warren spoke last week during a meeting with constituents in Woburn. WASHINGTON — Last month, New York magazine put a jogging Elizabeth Warren on its cover, with the headline “Front Runner?” blared across her middle. They weren’t talking about her Senate race. With Donald Trump continuing to dominate attention spans across the country, Democrats, political reporters, and even Trump himself seem uniquely unable to hold off on 2020 speculation. The midterms are still three months away, but Democrats — who lack a clear leader after their rout in 2016 — are desperate to rally around someone who can defeat the president the next time around. Warren sates that appetite with her nationally known profile, devout liberal following, and strong presence near the top of some key polls — even though she claims not to be running. But anointing a front-runner for the party nomination, more than 18 months before the Iowa caucuses and 834 days before the election? US Senator Elizabeth Warren is facing tough criticism from local police chiefs over recent remarks about racism and the criminal justice system. And besides, Dukakis contends, the concept is mythical at this stage. While the early buzz will certainly help Warren with fund-raising, getting her message out, and recruiting top-tier staff, it could hurt her as well, by raising expectations, drawing extra scrutiny, and putting a target on her back, according to several former candidates for the Democratic nomination. Dukakis recalls telling his campaign staffers to complain to newspaper editors about headlines declaring him a “front-runner” in Iowa after one poll showed him slightly leading the crowded Democratic field. But public perception is difficult to change. And in an enormous potential field of 30 or more Democratic contenders, Warren — with her loyal liberal following and potent fund-raising power — has done little to dampen speculation that she has the inside lane in the early 2020 jockeying. Her only real competition for early front-runner status, according to polls, are former vice president Joe Biden and Senator Bernie Sanders of Vermont. Biden consistently polls better than Warren, and Axios and Politico have reported Trump fears running against the former vice president more than against Warren. 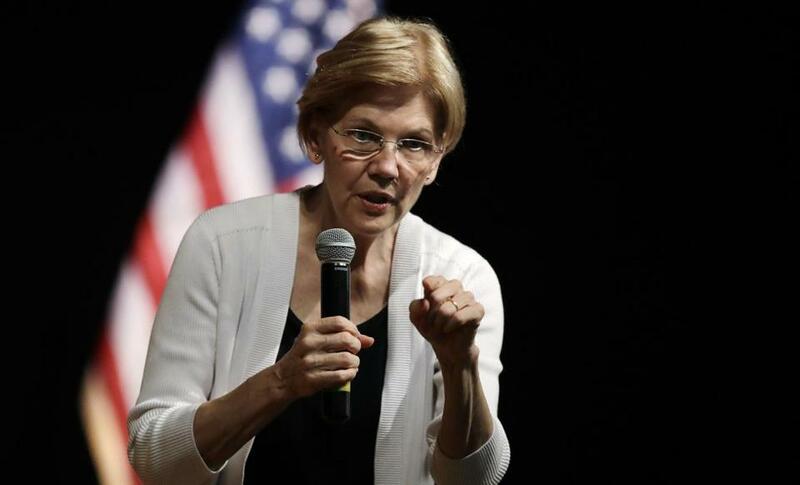 But a Suffolk University poll in May showed Warren leading both men in a poll of Democrats in the crucial first primary state, New Hampshire. For the first time in years, there’s no clear heir apparent in the Democratic field. In 2008, Clinton was the establishment favorite going into the primaries, a trajectory that was upended by Barack Obama’s meteoric rise. In 2012, Obama ran for reelection unchallenged. And in 2016, Clinton again was the presumed nominee. This new uncertainty, paired with a president whom Democrats loathe in historic numbers, has led to a hunger for a liberal leader and spokesperson to go head to head with Trump. “It’s real and I respect the hunger, but it’s not going to happen until we have a nominee, so get over it,” said former Vermont governor and Democratic presidential candidate Howard Dean. His caution is well-founded. Dean led many early polls in 2003 but fell behind former Massachusetts senator John Kerry, the eventual Democratic nominee, once the voting started. He didn’t win any caucuses or primaries except for his home state. 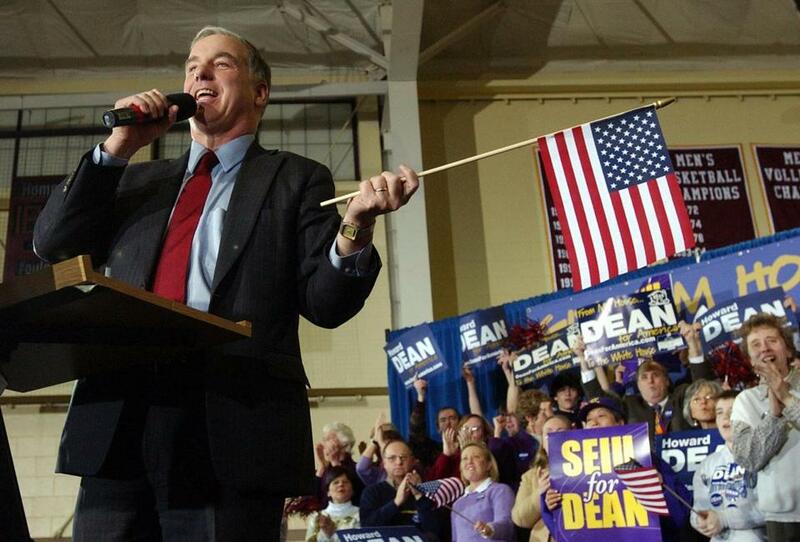 Howard Dean waved an American flag during a rally in Manchester, N.H., in 2004. Warren, however, appears unconcerned about emerging so early on as a buzzed-about contender — though she repeatedly says in interviews she’s focused on her Senate race and is not running for president. She told reporters in April her “plan” was to serve out her full six-year term in the Senate if reelected this fall, essentially ruling out a presidential run. Asked if she stood by that commitment today, Warren spokeswoman Kristen Orthman said yes. “Senator Warren is up for reelection in November and she’s taking nothing for granted,” Orthman said. Over the past few weeks, two New York Times columnists have written dueling meditations imagining a 2020 matchup between Warren and Trump. One prophesied a scenario in which Warren lost due to a strong economy; the other predicted she’d win. Even Trump appears to assume he’ll end up running against the Massachusetts senator. The president told his fans in Montana at a July campaign rally that he’ll toss a DNA test at her — a reference to her claim of Native American heritage — if they end up squaring off on the debate stage. According to Dean, Dukakis, and other former presidential candidates and their staff, shooting to the top of the pack in the “invisible primary” long before voting begins can be both a blessing and a curse. Dean’s experience could be especially instructive for Warren. He came out of nowhere to lead the Democratic pack in polls in the months before the first primary elections in the 2004 race, overtaking Kerry and John Edwards. All of a sudden, he was a serious contender. Dean’s team alleged other Democratic campaigns were holding regular conference calls to coordinate attacks against him. His candidacy flamed out after a disappointing third-place finish in Iowa, prompting his infamous “scream” speech that was mocked on a loop on cable television and by late night comedians. Dean blames his loss on the lack of organization in his campaign. Warren is already regularly attacked by the president — who calls her “Pocahontas” to mock her — and she hits back, often leading to “split screen” type coverage that is reminiscent of a presidential campaign and fuels speculation about her eventual run. 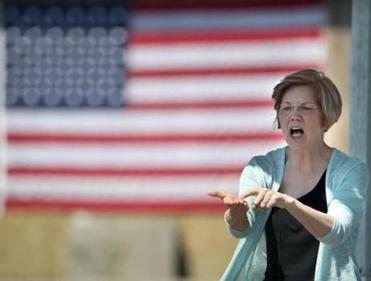 This has given Trump months to drive home a negative message about Warren using his presidential megaphone, while leaving many other potential 2020 candidates relatively untouched. The president has tweeted just once about Senator Cory Booker of New Jersey for example, compared to more than 25 times about Warren since he began running for president. Indeed, her political activities outside Massachusetts have caused trouble back home. Over the past several days two local police chiefs criticized her comments during an appearance at a historically black college in New Orleans, calling the criminal justice system “racist . . . front to back.” The visit was part of an effort to expand her base and reach out to black voters. But the police chief in Yarmouth, where an officer was shot to death in April, said the comment was an “insult,” and her GOP Senate opponents called Warren’s remark irresponsible. Warren spoke with a supporter following the Woburn gathering. The back-and-forth, however, also benefits Warren to an extent, firing up the Democratic base that strongly dislikes the president and helping the senator burnish her reputation as a fighter and counter-puncher long before the primaries begin. 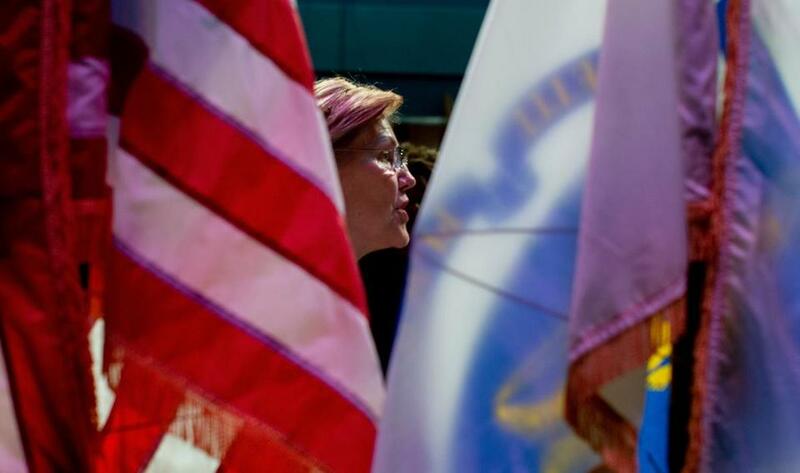 All the scrutiny and early scrapping could also sharpen Warren’s skills ahead of a presidential race, revealing her strengths and weaknesses early on. Dean wishes he had emerged as a front-runner sooner in his race, so the heightened scrutiny and pressure could have improved him as a candidate. “Fund-raising becomes somewhat easier and political reporters are required to pay more attention to what you stand for and are saying,” Hart said in an e-mail. Recruiting top-flight staffers also becomes easier, according to Ryan Williams, a former spokesman for Mitt Romney’s presidential bid. “People want to support a winner,” Williams said. Former senator Bill Bradley, who vied unsuccessfully for the Democratic nomination in 2000, said he thought it was an advantage for him to toil in front-runner Al Gore’s shadow, which allowed him to quietly fund-raise and recruit without press scrutiny. “I didn’t have to deal with people constantly asking questions, I just went out and laid the groundwork for the campaign,” Bradley said. 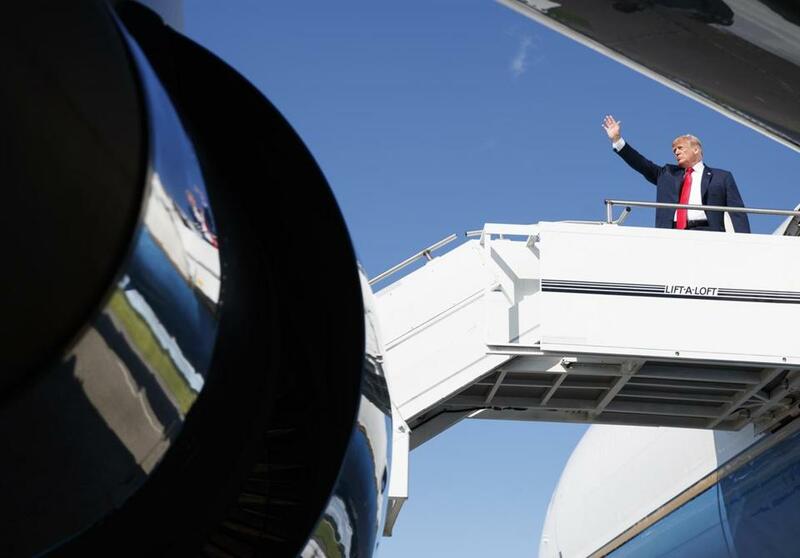 President Trump waved as he boarded Air Force One on Aug. 4.